Mass incarceration: have we been looking in the wrong places? Public awareness and concern about over-criminalization and over-incarceration has grown significantly in recent years but much of that attention is focused in the wrong places. What happens at the national level tends to be in the spotlight much of the time, despite the fact that most people entering our prisons and jails are sent there by local - not federal - criminal justice systems. The harrowing cellphone videos seen around the world of people being gunned down by police in communities across America have understandably created outrage and anguish. Police brutality, and the ways in which the law is enforced on our streets - and against whom - are desperately important. But behind the minute-by-minute decisions made by cops on patrol are other, more powerful actors who are setting standards and defining what is important and what is not when it comes to how we as a society address what we have defined as crime. It is with that understanding that we have created a new advocacy document called Disrupting Mass Incarceration at the Local Level: A Guide to Mapping Reform. 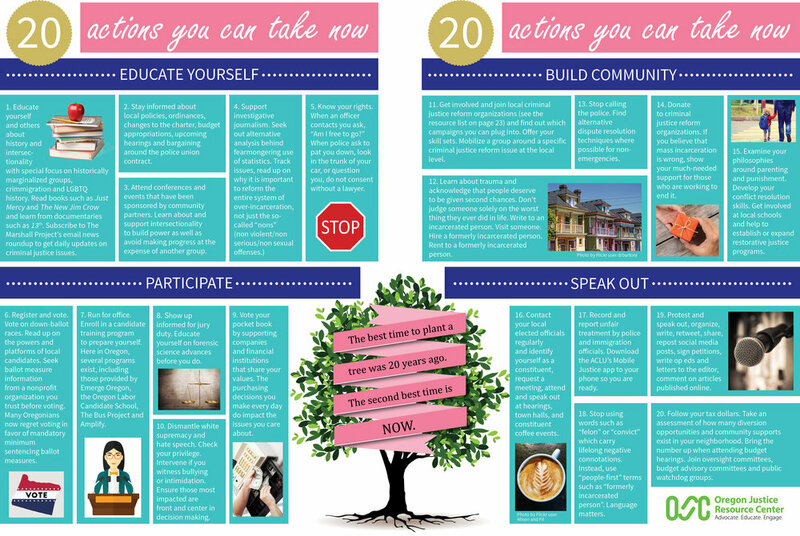 Our guide will show you how you can plug into the movement for reform by identifying an issue you care about, working out who has power or influence over that issue, and determining the steps you can use to create change. We call this process "power mapping." It's an approach long used by social justice organizers across the country, but rarely applied to criminal justice reform. By identifying the many stakeholders with the authority to enact reform, the framework of power mapping serves to increase transparency, home in on realistic solutions, and move the conversation away from “tinkering” around the edges of a problem. You might be surprised to learn that a large majority of incarcerated individuals in the U.S. are sentenced in highly populated urban areas typically considered progressive strongholds. We decided to use Multnomah County and the city of Portland and their school districts as an example of a local area where our ideas can be implemented. This guide is all about helping you understand where to plug in to achieve change on the issues you care about. If you have an idea for reform or would like to learn more, please use the form below to get in touch with us. 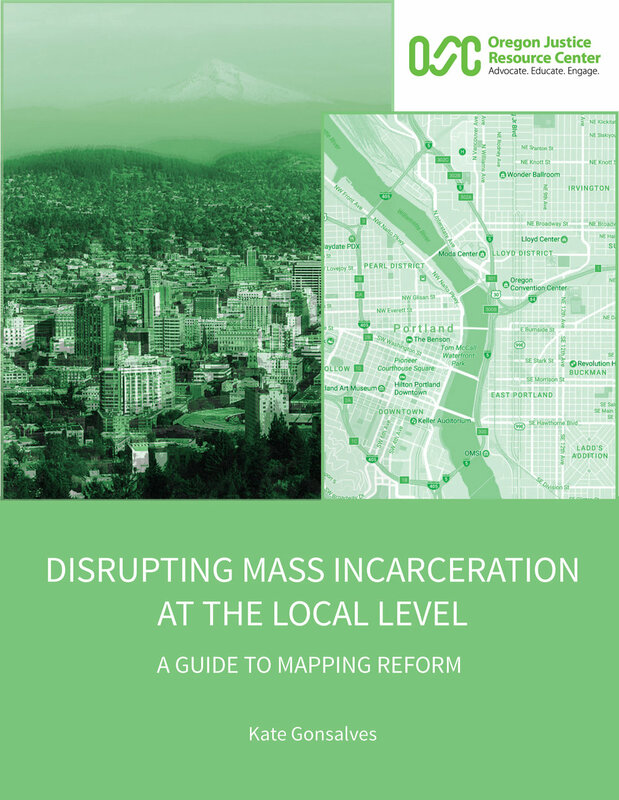 Thank you for contacting us about "Disrupting Mass Incarceration at the Local Level: A Guide to Mapping Reform". Like you, we want to see our criminal justice system change for the better, and we believe that starts right here in our cities and counties. We appreciate your input, and we'll be in touch soon to discuss how we can help. 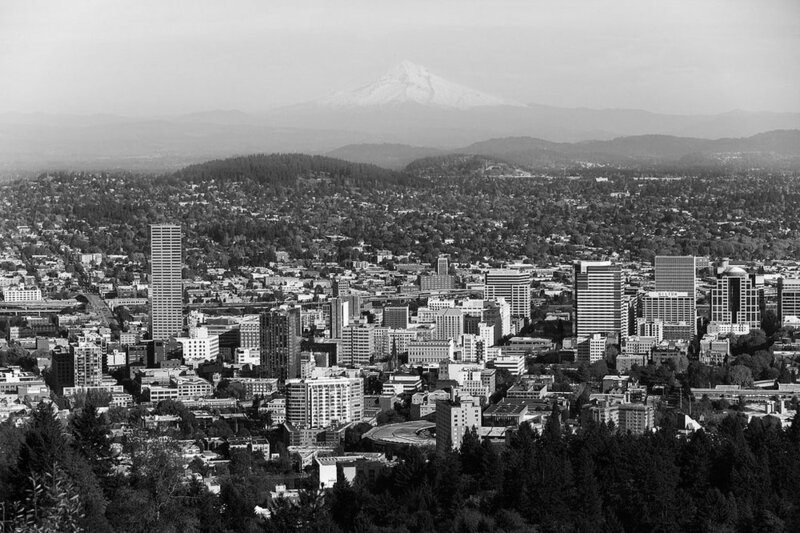 "Portland Skyline" image copyright Flickr user Holly Hayes. Sign up to receive updates from Oregon Justice Resource Center. Thank you for signing up to receive news and information from Oregon Justice Resource Center. Oregon Justice Resource Center is a 501(c)(3) tax-exempt organization. Contacting Oregon Justice Resource Center does not establish an attorney-client relationship. Copyright © 2018 Oregon Justice Resource Center.